Known for his electrifying performances, character and charisma. Paul “The Asset” Nicholson is a serious contender for every major title. 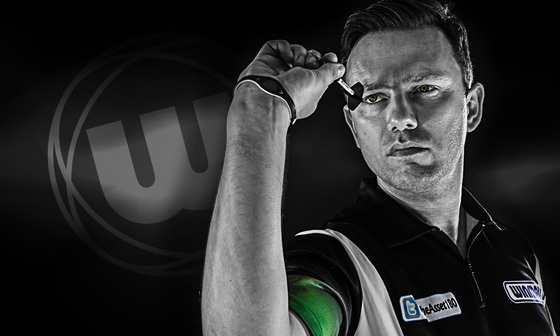 Paul has designed these precision 90% tungsten darts with only one thing in mind – top performance. These darts reflect Paul's passion, power, character and charisma. Featuring unique Hex-Grip Technology with longitudinal precision-milled cuts enhanced by a powerful angular groove pattern which ensure perfect control. These darts have been honed on tour after months of dedicated research and feature our class-leading Onyx Coating.